You Stuffed Yourself Silly on Thanksgiving: I Hope You Saved Room for Crucial November Marketing News! To kick things off this month, we will talk turkey with a Penguin and a Panda. Because we just can’t, in good conscience, write a roundup without including the latest scoop on Google’s black and white buddies. I Don’t Remember Inviting a Penguin to Thanksgiving Dinner, Do You? Google didn’t ask for an invite to your Thanksgiving feast, but it sent its Penguin 3.0 refresh out anyway. This refresh first rolled out six weeks ago, yet many sites reported changes around November 27th. What’s interesting about this update is that it appears to have helped more sites than it hurt. Many experts take this as a sign that the Thanksgiving refresh undid some of the damage the October rollout did, but only time will tell if these theories pan out. Was your site helped or harmed by the unexpected Thanksgiving guest? Let us know in the comment section below! What this means for you. If you’ve been diligent about cleaning up the low-quality backlinks to your website or if you never attracted bad backlinks in the first place, then you may have been helped by this update. However, if you haven’t been willing to put in the time, effort, or money into getting your backlink profiled cleaned up—or if you or your marketing company are STILL engaging in shady linkbuilding tactics, then you might see a traffic dip thanks to this Google algorithm update. If you think you’ve been affected, get help now because cleaning up backlinks takes a LOT of time and effort—but it is totally worth it! If you are posting high-quality, original, and RELEVANT content, you should have nothing to fear. You may also have been rewarded by Google if you’ve been cleaning up the old and irrelevant content on your site. 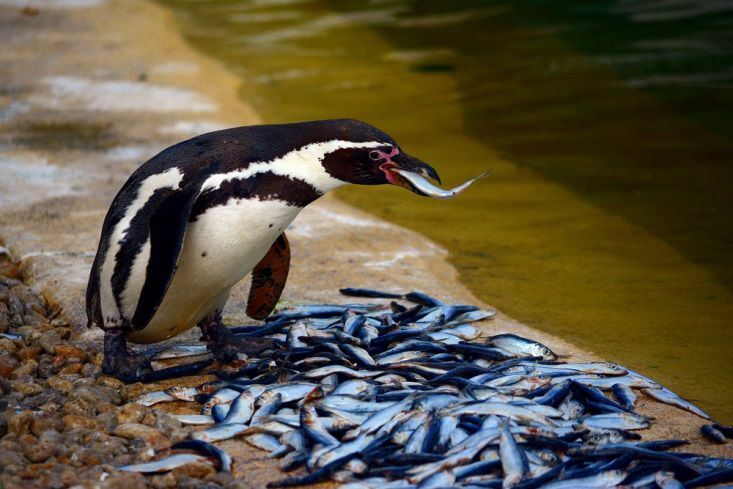 However, if you haven’t gotten the memo yet about great web content on a well-curated site, you could find your traffic reduced thanks to this Penguin update. Three years of Google’s Panda updates have produced plenty of data to analyze (the so-named “Panda” updates target websites with low-quality, thin, or unoriginal content). Fortunately for us, Russ Jones over at Moz.com gathered this data and drew some evidence-based conclusions. He found that there are distinct, trackable differences between the sites that survived and thrived after every Panda update and those that faltered and failed. Overwhelmingly, sites that have been hit hard by Panda don’t have content that can be classified as professional writing. That is, they lack pieces penned by an expert who offers a detailed analysis, unique viewpoint, or original takeaway. These sites are unlikely to contain content that is good enough to appear in print. What this means for you. We’ve said it before, and we will say it again: If you want to perform well on Google, you need to write robust, intelligent, and ORIGINAL content. Be sure that anyone reading your content would answer yes to the following questions: Could this content be in print? Does this page seem to be written by an expert? Does this page contain insightful analysis? Would you consider bookmarking this page? Does it seem like original content? If you don’t think the average reader could say yes to all of these questions, then why are you putting the piece on your website to represent your business? Not only is it bad for your Google rankings, but it is also bad for your reputation as an expert in your field. Many business owners have embraced the fact that video is an important part of any marketing plan, yet most are still doing video wrong. The low-quality videos businesses often add to their websites, YouTube Channels, or social media accounts can repel clients or customers instead of attracting them. This detailed article outlines exactly why video matters and what you need to do to harness the power of this conversion-tastic marketing tool. Never, ever set your videos to auto play. Nobody likes being surprised by a video suddenly blaring through their computer’s speakers. Nobody! Make video introductions short and sweet. Any introduction should be less than five seconds. If it’s longer, you’ll lose tons of viewers; they want answers to their questions, not a detailed background of you and your business. Include a transcript as part of the video description. By adding a transcript of the video to the page, you’ll keep the interest of the people who prefer to skim the content instead of viewing the video. A transcription also addresses the needs of the deaf or hard of hearing, and Google likes it to boot! Many people think that Search Engine Optimization (SEO) is about getting your website at the top of search results for a specific keyword. However, SEO is much more than keyword research. A great example of this is using vertical reach to improve your visibility. A vertical is a website that relates to your field and is seen as an authority. Often, this vertical website is used to find new information; users skip over Google and go directly to this website to find what they need. Some examples of this are Avvo and Healthgrades. Consumers looking for an attorney or a doctor may go to one of the major ranking websites for your type of business to find what they need, bypassing Google completely—the same way shoppers use Amazon instead of Google or Bing to find products to buy. What this means for you. What’s your industry equivalent of Amazon? If you are an attorney or a doctor, this could be an authoritative referral website like lawyers.com, Avvo.com, yelp.com or WebMD.com. Making the most of your profile on sites like these is necessary to attract clients from a multitude of different verticals. You need to make sure you can be found on your industry-specific verticals as well as in search. Not only do you need to have a profile, but it needs to be OPTIMIZED. That way, when you’re found, you stand out from the crowd. Think great pictures, an engaging description, correct categories for the services you offer, great reviews, and whatever other features the site allows you to use to burnish your online reputation. Ensure you’re making the most of your listings by reading our comprehensive list of the most damaging directory and local listing mistakes. Getting a divorce or getting married are major life events that can mean a name change for you and possibly even your business. If you do change your name, consider the impact to your online reputation. For many professionals—especially doctors and lawyers—your name is your brand. Make sure it is clear on your website and your online business profiles that your former name and new name mean that you are the same person. You want to avoid confusing both potential clients and the search engines. What this means for you. To help professionals who want to avoid problems when dealing with a name change, either for themselves or for their businesses, we created a detailed, three-step process for changing your name online. Follow all three steps to not only maintain your visibility, but also to increase your searchbility and local listing success. Win, win! Did Your Mobile Website Earn the MOBILE-FRIENDLY Label From Google? Over the last few weeks, Google rolled out its “Mobile-friendly” label to help negate the “frustrating experience for our mobile searchers” that occurs when searchers end up on a difficult-to-navigate desktop site on their mobile device. And we’re glad they made this move! Few things frustrate mobile users more than having to wait for a full-size desktop site to load on a tiny mobile device, not to mention how hard these full-size sites are to navigate once they finally do load. Now, it’s easy for searchers to decide if they want to click through to a website in their mobile search results. The image below shows that the Mobile-friendly label appears directly below the title and URL. What this means for you. As people become aware of and accustomed to this new label, they may change their search habits, and only click on Mobile-friendly sites. Are you ready for this shift in consumer behavior? Don’t lose valuable mobile search traffic to your competitors: Make sure your website has earned Google’s Mobile-friendly label, like our Foster Web Marketing mobile sites have. Put Your Mobile Site Through Its Paces! Google’s Mobile-friendly testing tool. You want your mobile site to get one of the coveted “Mobile-friendly” labels we discussed above. To ensure it does, be sure to run your URL though this tool. 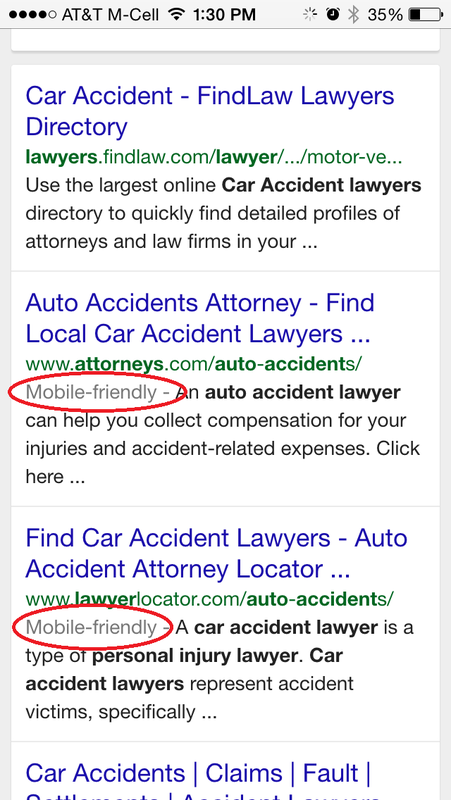 It will show you if your site meets Google’s new Mobile-friendly criteria. Google PageSpeed Insights is another great tool to test your mobile website. This tool provides scoring for site speed and user experience on mobile devices. It also pulls up a nice image of how your mobile site appears to searchers along with tips for improvements. Very cool! What this means for you. Once you test your mobile website, you’ll need to make adjustments. Either do this on your own, or share the improvements Google suggests with your webmaster. You’d be crazy to ignore the free advice Google is giving business owners about mobile web performance! Though all of our clients are perfect angels, we couldn’t help but laugh at this clever infographic, brought to you by the creative minds at Search Engine Journal. You may even recognize a few of these characters from your own business! November’s roundup should have given you enough information and advice to keep you busy through December. Until next month, market your business creatively, track your results, and when in doubt, call an expert: 888-886-9039. Increase Facebook Engagement in 4 Easy Steps! Are you offering a new service or product? Then you have to listen to our latest webinar on how to best market your new offering.